As a High School Swimming Coach, there’s no thrill like watching athletes achieve their personal and team goals. To make this season the best season possible, you’ve not only got to get your athletes FAST, but you must get them to become a UNIFIED TEAM. Consider the fact that within most High School squads there are brand new swimmers, seasonal swimmers, year-round swimmers and aspiring State Champions – all on the same squad! How does a High School Coaching Staff effectively manage these varying levels of athlete during the team’s practice sessions? What subtle adjustments can a High School coach make to unite a team while simultaneously offering appropriate training to athletes of all levels of experience? And once you’ve molded your squad into a unified team, how do you get athletes to go FAST in competition? It’s easy to search online for videos of stroke technique, and any coach can do their research to find different training sets to use during their season. But how does a coach put training sets together during the week? How do the training sets change as the season progresses? [CLICK HERE] to see our other product options! With all the different technical videos we can find online, how does a coach sift through the footage and determine how they will use their technical knowledge to teach their High School team? There is a lot of information out there about swimming in general, but there is a lack of practical information specifically directed towards High School swimming coaches. High School Swim Coaching can be extremely challenging. 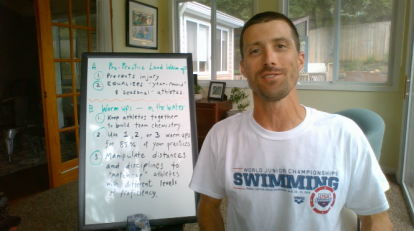 Learn from one of the best coaches in swimming, who has had success at every level. The High School Swim Coaches Course will help your next season be your best! Get a "big-picture" view of the different phases of your season before it starts. See actual week examples of workouts and useful tips on how to craft your season based on your specific circumstances. Also included are helpful tips on how to effectively utilize your assistant coaches as well as resources to share with your swimmers, such as goal sheets. Learn the from the best when it comes to warm-ups, pre-sets, specific training sets and how to manipulate your workouts to the different levels of swimmers you may have in the pool. You'll also get access to many resources to help you craft the best workouts, including speed charts, stroke counting resources and even competition specific tips. 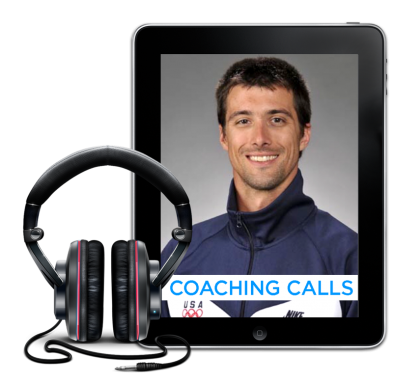 Listen as Paul Yetter coaches you through lessons he's learned in all his years in coaching and what he wished he "knew then, what he knows now." Along with all the coaching tips you'll get access to dozens of videos of stroke demonstrations and drills to help you master coaching all of the strokes and the related elements including turns and body position. When you sign up you will have direct access to Paul Yetter, creator of High School Coaches Course and Head Senior Coach for the North Baltimore Aquatic Club. You will have direct access to ask any questions you need help with. Need help on how to adjust a workout? Ask. Paul will personally help you and coach you. This type of direct access to Paul isn't available anywhere else. But not anymore. When you get High School Swim Coaches Course, you'll have direct unfettered access to Paul for help along the way. Get a "big picture" view of your season ahead. Then dive into the specific workouts and how you can manipulate them based on the level of swimmers you have at your practice. You'll also get dozens of documents that you can edit or give to your swimmers to further help the success of your season. Some of this training progression or coaching tips could have an amazing effect on your season once you implement them. Experience what it's like to have an Olympic Swim Coach like Paul Yetter be your personal coaching mentor. Paul walks you through dozens of different videos focusing on helping you become a better coach. You'll also get access to 30+ videos of stroke demonstration and drills from elite level swimmers. Master all of the strokes and the elements of the race for this coming season. Paul Yetter is the current Head Senior Coach for the North Baltimore Aquatic Club. Coach Yetter accepted the position for Head Senior Coach at NBAC in November of 2016. Prior to his career at NBAC, Paul was the Head Coach of T2 Aquatics from starting in 2010 and ending just before his start at NBAC. 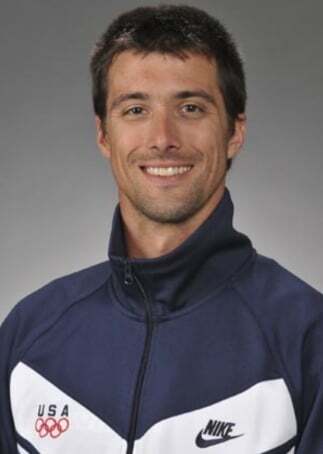 Coach Yetter is a 7-time member of USA Swimming's National Team Coaching Staff and he has represented the USA as an assistant coach at the 2008 Olympic Games, 2007 Japan Open, the 2006 Pan Pacific Championships and the 2005 World Championships. Coach Yetter has represented USA swimmers in every major International Competition enabling his athletes to win medals at the Olympic Games, Paralympic Games, World Championships, Pan Pacific Championships, World University Games, Pan American Games, Junior Pan Pacific Championships and the FINA World Youth Championships. Learn the from a swim coach whose had success at every level and started out coaching at the high school level. Find out what he "wishes he knew" when he was coaching high school. The question isn't will you improve as a coach, but by how much? Even though the High School Swim Coaches Course has an incredible amount of videos, resources and great information we still wanted it to be accessible to ANY high school coach that wants to get better. But even with a reasonable price, some coaches might be hesitant to actually spend money on a course to help them improve and get better. They might want to just keep "figuring it out" as they go. Option #2: Get Instant Access to the High School Swim Coaches Course and have the best season ever….. 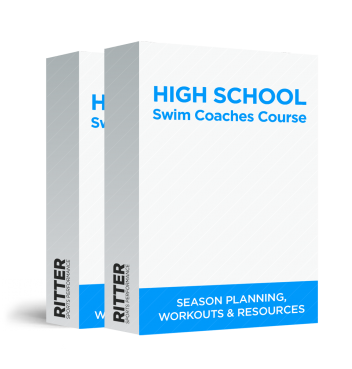 Try the High School Swim Coaches Course - risk free! If you don't see significant improvement in your swim training simply email our support, show you did the work, and we'll send you a full refund. Our goal is to make sure gain practical knowledge about how to best implement a race pace training swim program. If you give it an honest effort and you don’t feel you’ve gained more knowledge and improved your swim training, then we haven't done our job and don't deserve your money. Are you ready to have your best high school swimming season? Who is the High School Swim Coaches Course for? This is specifically designed to help high school level coaches have all the resources and knowledge they need to have their best season ever. However, even if you're not a high school coach you'll get a lot out of this course. What and how do I get the High School Swim Coaches Course? You'll get access to 30+ videos of technique and drill demonstrations, 15+ videos of coaching tips with Paul Yetter and dozens of downloaded and editable documents to help with season planning, creating swim workouts and other helpful resources. All other parts of the system are either view-able, download-able or will be sent via email. There is nothing physical to be mailed with this system. I have a lot of experience as a swim coach, is this still for me? Yes! Paul has a tremendous amount of knowledge and more importantly, he's eager to share. Whether you're a first-year coach or have been coaching for decades there'll be great tips and techniques that you'll learn through this course. How much more is in the system vs. what would be in the Coaches Corner? Paul was one of the most popular featured coaches in the Coaches Corner and he also had a passion to help specifically with the high school level of coach, as he started out there too. This is not just 4-weeks of workouts. This resource is much more than just workouts. It'll help you be a better all-around high school coach after you watch and apply what you'll learn in this course.